Our guide to Coal Stoves offers detailed descriptions of companies such as Gaggenau and United States Stove Company. This German company started out manufacturing bicycles and coal stoves, before evolving to produce high-end kitchen appliances. Induction cooktops, wall ovens and ventilation hoods are some of the more popular offerings. This Tennessee company traces its roots to a stove foundry operating 140 years ago in New York. Product line now includes pellet and wood stoves, wood and coal furnaces and circulators. 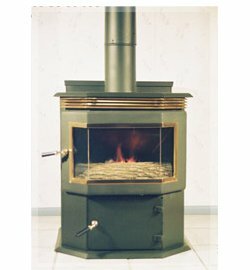 Michigan manufacturer of wood and coal stoves, solid fuel furnaces, barrel stove kits, air circulators and other stove and hearth products. This Pennsylvania company makes a diverse line of coal, oil and wood stoves and furnaces. One of the company's more unusual offerings is a free-standing unit that looks like a wood or pellet stove ... but burns oil or kerosene, and needs no electricity to operate. 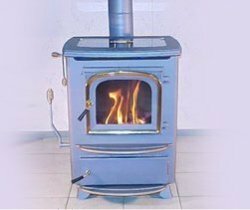 In an era when "affordable" products too often are merely cheap imports, the England family manufactures a complete line of solid, reliable and affordable wood, pellet and gas stoves from their factory in Virginia. The company's stoves tend to be simple in design - but they are functional and rugged. Brands include Englander, Summers Heat and TimberRidge. You'll find these products both at stove shops and also hardware store chains and even big-box retailers. Service (such as replacement parts) is prompt and professional. Located not in Alaska but rather Pennsylvania, this company has been making (here in the U.S.) and selling a full line of wood, coal and oil stoves for more than 25 years. Pennsylvania company produces automated stoker coal stoves. In business since 1973, this Minnesota company makes a full line of stoves that burn corn, pellets, wood and other renewable fuel sources. Products range from small stoves to large furnaces - sold under the Magnum and Country Flame brand-names. Automatic stoker stove takes most of the work out of burning coal. A handsome coal burner for your home.